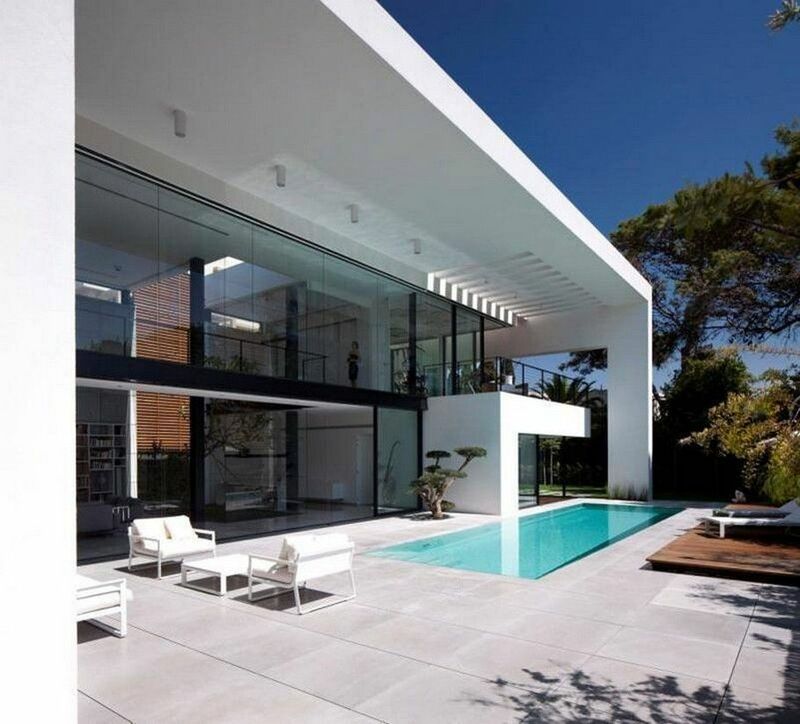 A sophisticated expression of modern luxury, and spatial purity that transcends Bauhaus style, encapsulated the architectural vision of this stunning contemporary private luxury residence built in the center of a historic avenue and at the very heart of Haifa’s French Carmel neighborhood. 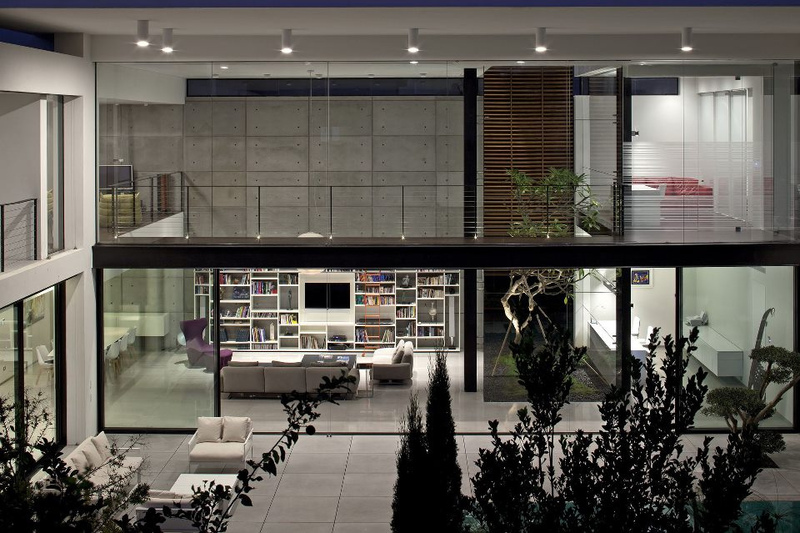 While the front of the home is intentionally anonymous with closed elements that combine a monochromatic façade and minimalistic elements, this only hints at the spectacular contemporary architecture within the public inner courtyard of the residence that opens to a floating upper roof forming a climatic relationship between formality and modernism. 1 | From the back of the house, the space almost takes on a dollhouse feeling since you can see directly in to the different rooms and feel as though you could move around the furniture with a flick of the wrist. 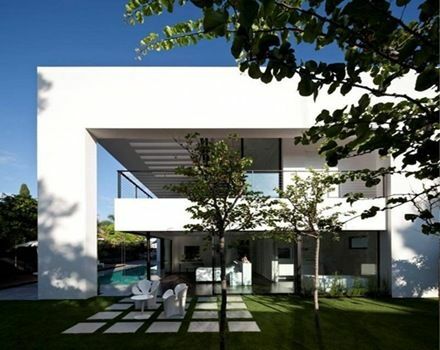 13 | The front of the home is purposefully anonymous, barely betraying the sweeping modern designs inside. The spatial continuity of the design functions around one large open central space with a parallelogram pool that revels in the existence of abundant natural light. 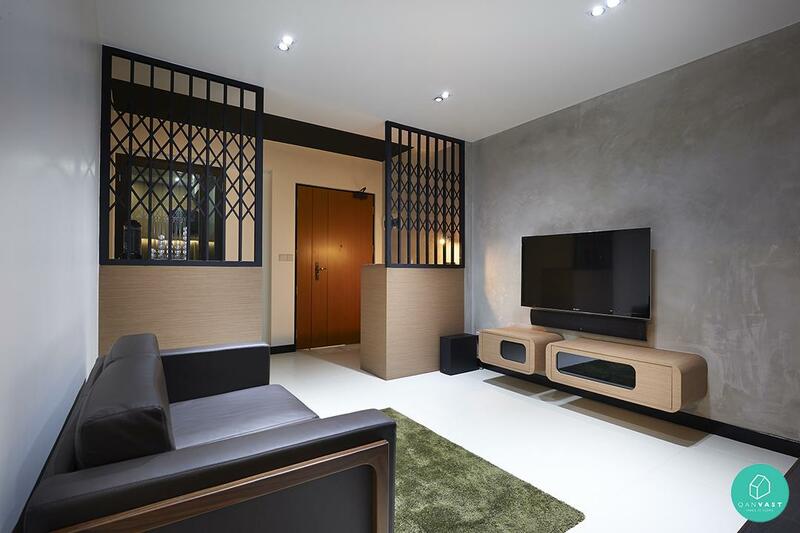 The ambiance created around the central space creates an interactive environment for residents on different levels of living where the user experiences warm and friendly, yet defined spaces in the spatial continuity of the architectural design that is both unassuming and transparently livable. 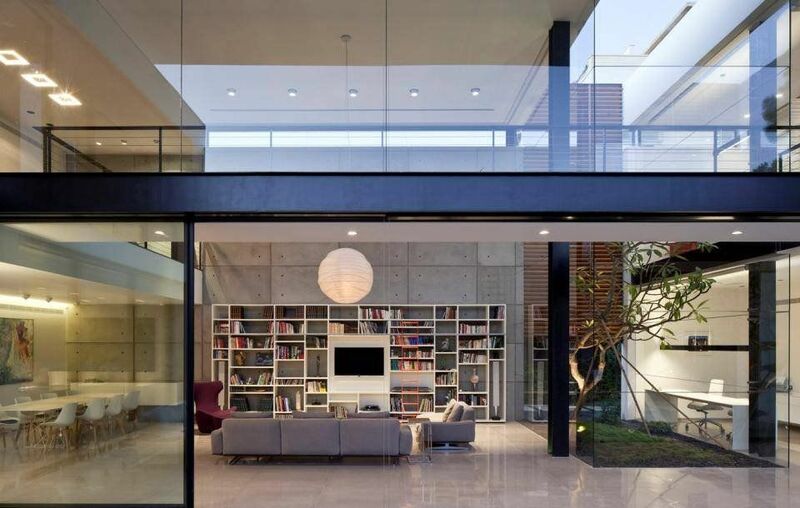 This brilliant luxury residence exemplifies the austere minimalism of Japanese architecture amalgamated with minimalism translating these models into the Israeli environment, climate and way of life. 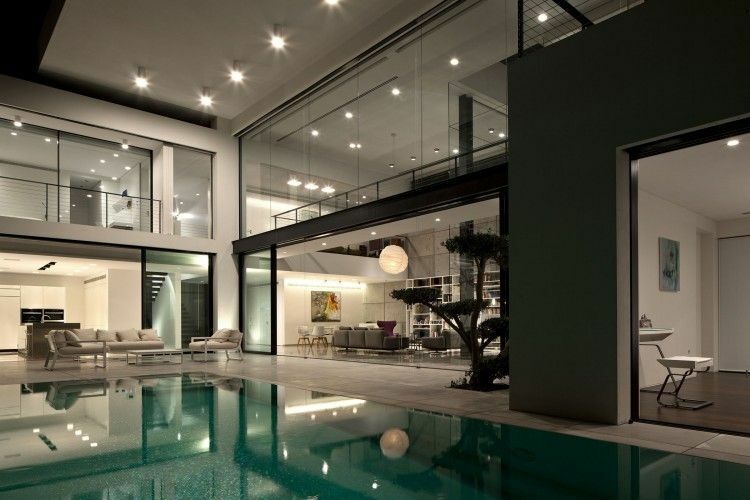 3 | The landscaping around the home is also decidedly important, particularly with the massive glass walls. Trees, stones, and moss make this neighborhood home feel more secluded and natural. Architected to create an experience of continuous, intimate and defined spaces with different levels that mutually interact symbiotically with the central space, this sensational residence forms an iconic motif of modern luxury architecture that is both impressive and restrained at the same time. 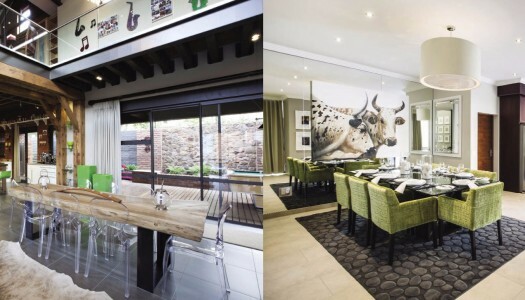 Horizontal and vertical surfaces conspire with different materials to create a unique atmosphere that is a powerful statement of uniformity and calmness. 7 | The modern library space almost echoes out of the photos with its cement accent wall and suspended lantern that acts as the sun and the moon. 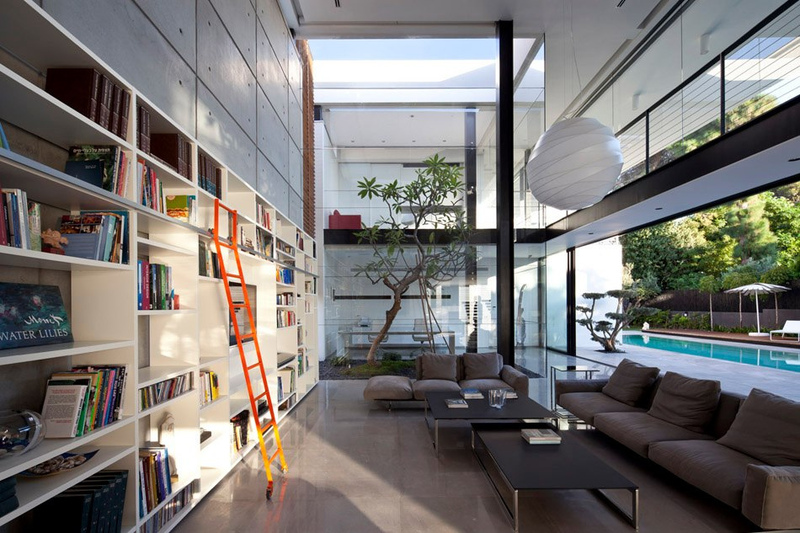 17 | The sleek white walls are so clean and smooth they feel almost industrial. 5 | The pool deck also has a modern feel without going towards the ostentatious. 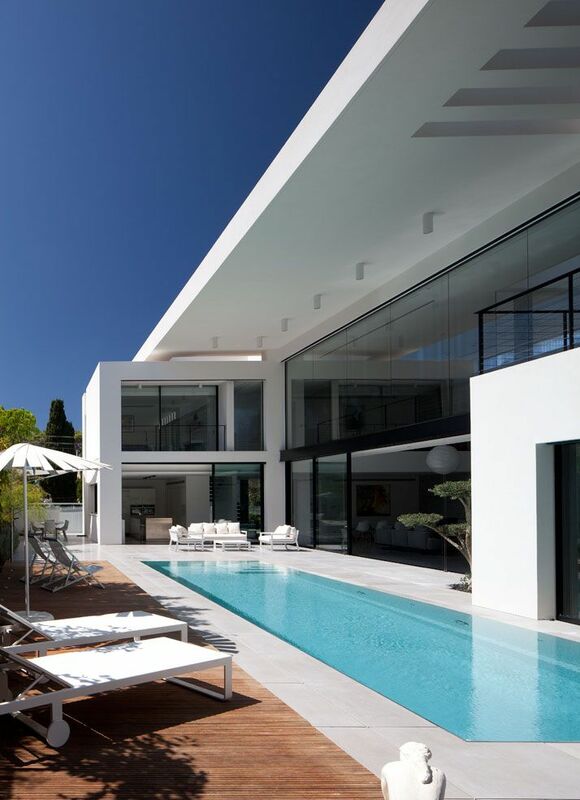 Instead, the pool sits calmly in the ground, surrounded by smooth surfaces and contemporary furnishings. 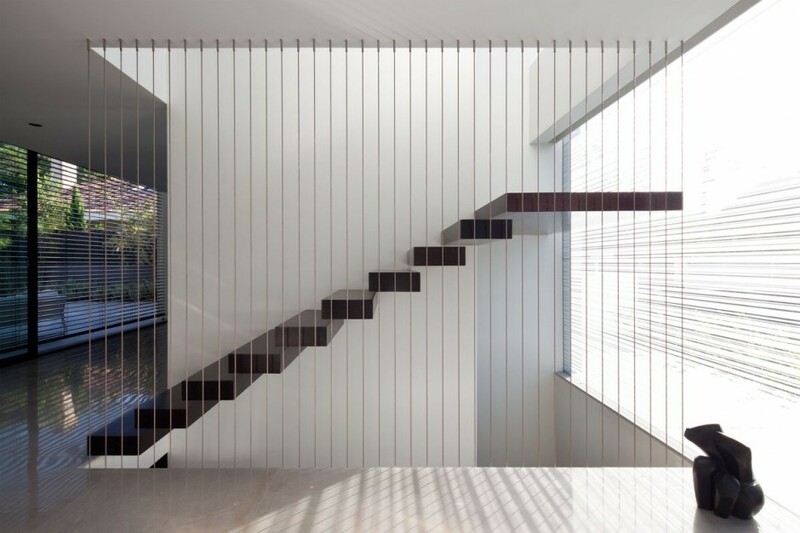 12 | These suspended wooden stairs are delicate yet sturdy with a shaft of sunlight making it feel as though you may be ascending to some place more than the second floor.